Quotations are valid for 14 days, pricing errors and omissions excepted. All contracts are subject to the goods being unsold on receipt of a firm order. Delivery dates given by Polybags are target only and shall not be the essence of the contract. Polybags can not be held responsible for delay of goods or for non-delivery caused by circumstances not completely within its control. 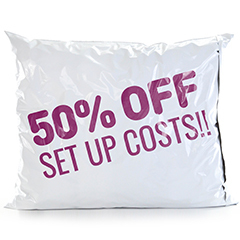 Claims for non-delivery or damaged delivery must be received within 30 days of dispatch. The goods delivered are subject to the normal trade tolerances, copies of which are available on request. Please note in particular that sizes are overall, cut to cut, and that quantities manufactured and delivered may vary up to 10% from the quantity ordered. Invoicing is on the basis of delivered quantity. We reserve the right to supply polythene bags either side weld or bottom weld unless specified in advance by you. Bags are packed in suitable containers which may vary from time to time. Special packing arrangements can be made on request. 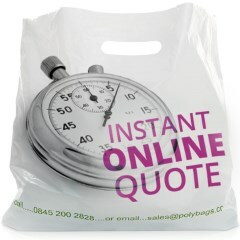 For all stocked products, Polybags offers a ‘no quibbles’ guarantee whereby you can return goods within 14 days of receipt for a full refund, regardless of the reason. Where you supply us with artwork designs to be printed on the goods, you shall be solely responsible for their accuracy and that you hold proper rights to print and use them. 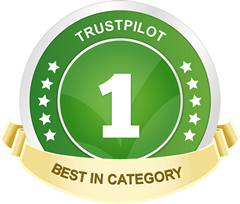 Where we supply design proofs for you to approve, you must do so in writing. We are not responsible for any delay in the approval process nor for any errors which you do not identify in writing at the time of giving approval. 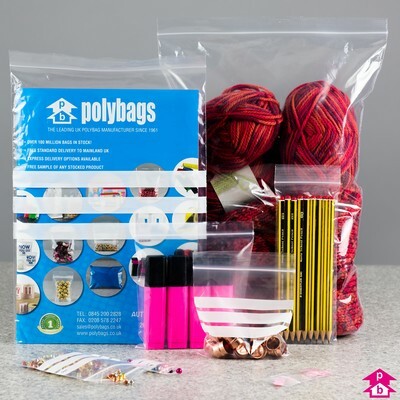 Unless expressly agreed in writing, Polybags does not give any warranty, whether express or implied, statutory or otherwise, that the product is suitable for packing any particular goods, produce, material or substance. We always aim to provide high quality goods. However, on occasion some items may need to be returned to us due to a fault. If any goods you purchased are damaged, faulty or do not match their description when delivered to you we may offer a repair, exchange or refund, as appropriate, in accordance with your legal rights. Any notification of defective goods must be made within three months of invoicing. If we fail to comply with these terms of contract, we are responsible to you for loss or damage suffered that is a foreseeable result of our breaking these terms or our failing to use reasonable care and skill, but we are not responsible for any indirect or consequential loss or damage. We do not exclude or limit in any way our liability where it would be unlawful to do so, such as liability for death or personal injury caused by our negligence. In all other circumstances, our liability is limited to the value of the goods ordered that are shown to be defective. The goods shall be at your risk from completion of delivery. Regardless of delivery having been made, ownership of the goods shall not pass from Polybags until you have paid the price in full and no other sums whatever are due to Polybags. Until such time as ownership in the goods passes, you shall shall hold the goods as bailee for Polybags and upon request deliver up such of the goods as have not ceased to be in existence or resold. All prices and charges are exclusive of value added tax (VAT). We welcome trade credit account applications from all regular customers, in which case payment terms are within the end of the month of invoice + 30 days. Polybags reserves the right to charge simple interest at the rate of 2% per month or part of a month on any payment that is overdue. The contract is subject to the law of England and Wales and all disputes arising out of this contract shall be subject to the exclusive jurisdiction of the Courts of England and Wales.